The exhibition Marking a Shift looks for traces of past cultural exchange. It uses methods of serendipity, unplanned and fortunate discoveries, while bringing the past to the present and anticipating the future through a contextualized form of collaboration. The artists, Maria Andersson and Nancy Atakan, started collaborating with collective research in 2012 when they discovered their shared interests in cultural transliteration and transcultural exchange. 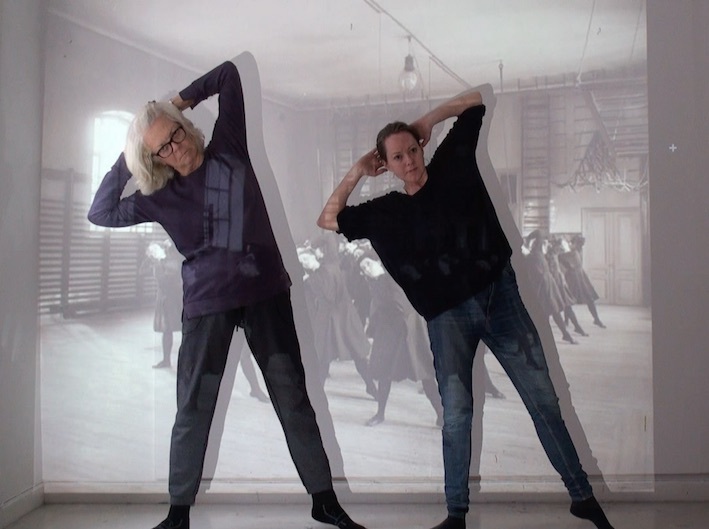 Their joint and individual research about Swedish Ling gymnastics as a modernist project in Sweden and Turkey has led to a series of separate works by each artist using their own modes of production, as well as collaborative works. 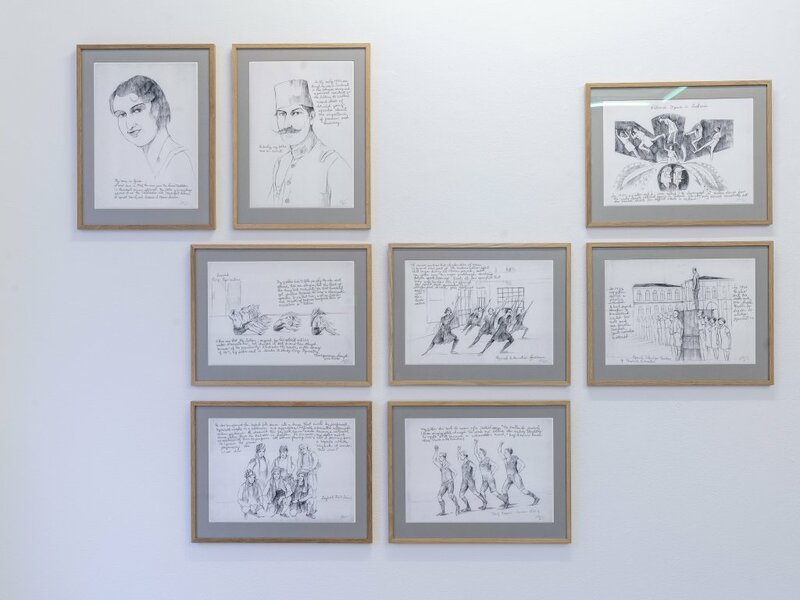 The work builds several parallel narratives directly and loosely connected to Selim Sırrı Tarcan, a devoted reformer and a radical modernizer, who brought Swedish Ling Gymnastics to Turkey in the beginning of the 20th Century. His daughters Selma Sırrı and Azade Tarcan were influenced by their father’s radical ideas and ideals of a modern society. Selma became a pioneer of modern dance in Turkey. Azade developed a therapeutic method of teaching gymnastics to everyone. The exhibition includes video, books, textile works and performance made from 2015 to the present from the artists individual art practices based on their shared research, as well as collaborative works. 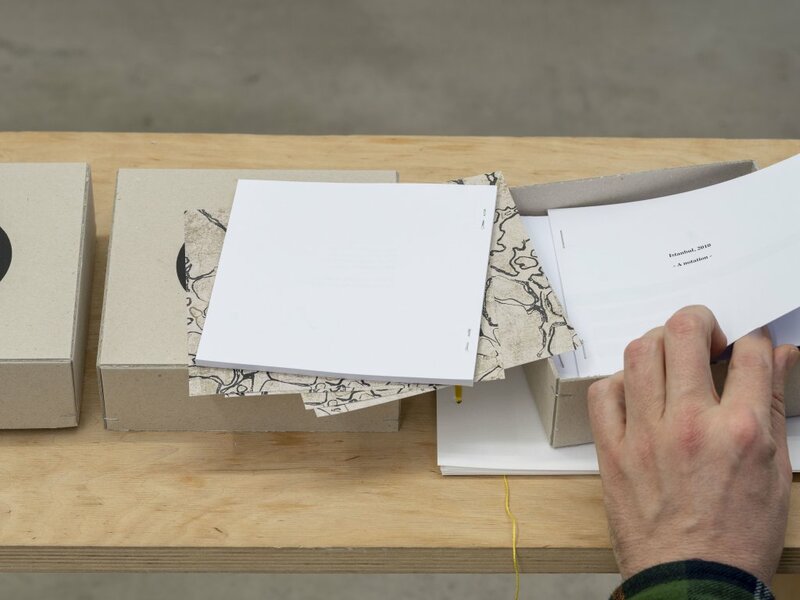 The exhibition also includes a sound piece by Turkish artist and musician Cevdet Erek, made as a gift to Nancy Atakan for her exhibition Sporting Chances (London, 2016). 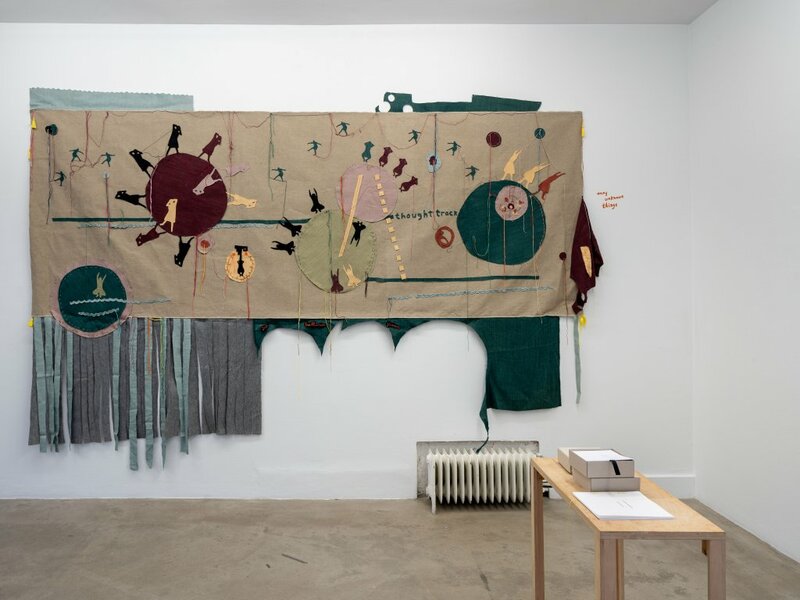 Several of the collaborative works were made during Nancy Atakan’s residency at NKF, Stockholm in 2017 and supported by The Swedish Arts Grants Commitee. Nancy Atakan’s participation at Galleri Box is supported by Iaspis. Maria Andersson (1978) is an artist based in Stockholm. Her process based practice deals primarily with aspects of spatial organization and the shaping of a society. She works with video and text, public interventions, performance and spatial installations. Maria has also been involved in several self-organized initiatives and collaborative projects, for example Ett rum med utsikt/A Room With A View. She studied at Central Saint Martins College in London, Konstfack University of Arts, Craft and Design and Royal Institute of Art, Stockholm. The American born Istanbul based artist, teacher, art historian and art critic, Nancy Atakan (1946) has been an active figure in the Istanbul art scene since 1969. Originally a painter, in the early 1990’s she switched to a multimedia approach encompassing photography, installation, text, digital printing, needlework, neon and video that involves experimentation, research, collaboration, and dialogue. In 2007 she co-founded with artist Volkan Aslan, a non-profit artist initiative and project space called 5533. Since 2009 Pi Artworks Gallery has represented her work. Share on Facebook, Twitter or E-mail.